Kicksledding is the perfect way to enjoy outdoors with kids, just like ice-skating or lantern walk. It is the most popular activity among children and it is suitable for the whole family. 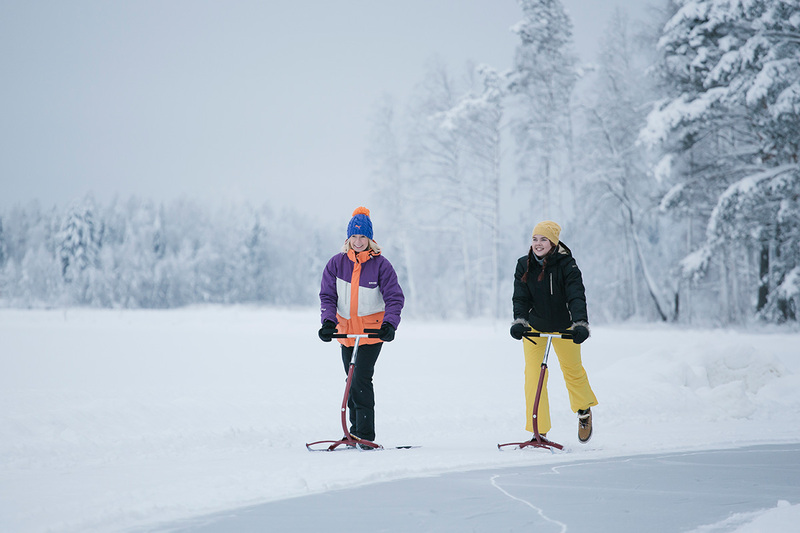 A kicksled is like a chair mounted on a pair of flexible metal runners which extend backward to about twice the chair's length. It´s suitable for 2 persons; one is sitting on the chair and other one is kicking forward with it. 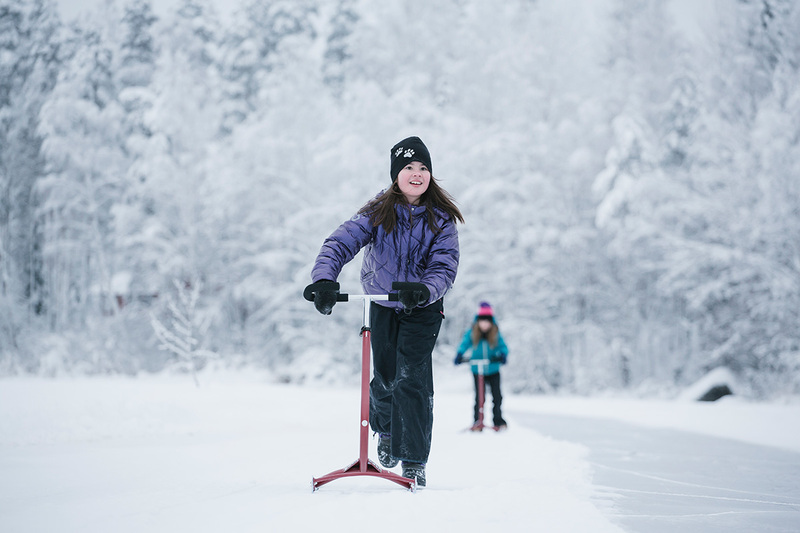 Kicksledding is easy to learn and it does not require any special outfit or shoes. It is as well a nice exercise for adults. The tempo of kicking can be adjusted to your needs and you can even walk with the sled for a while when a short break is needed. It develops different muscles of the body, especially the torso and leg muscles. Kicksledding is suitable for all aged persons. Someone once said that kicksledding is both, a great way to do a shopping trip to the village to buy bread and milk and do an effective workout and train the muscles. It is something for everyone, indeed! - Book a kicksled online.